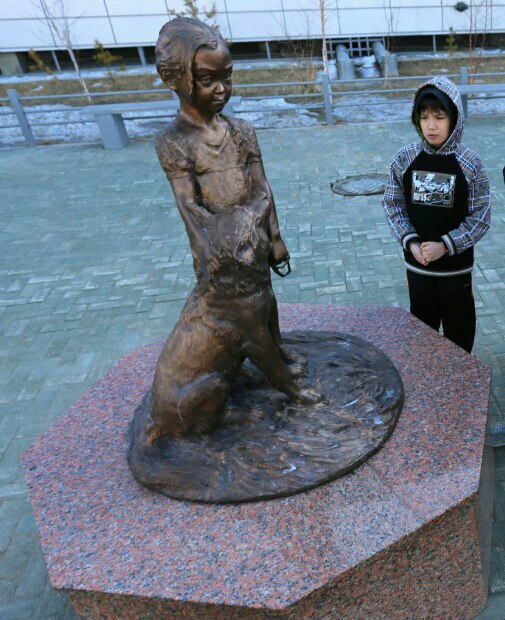 Opened on December 28, 2015 Monument to a girl and her dog decorates the station square of the Yakutsk airport in the city of Yakutsk, of North-East Russia. Meanwhile, the monument depicts the 4-year-old girl Karina Chikitova from the village of Olek of the Olekminsky district. 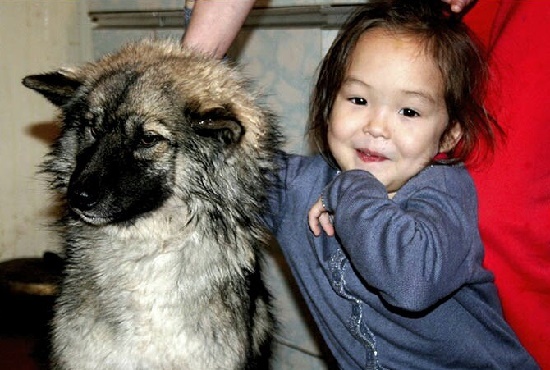 Suprisingly, the little girl spent 11 days all alone, in the Yakut taiga. However, the brave girl miraculously survived, and in large part thanks to her dog, who accompanied her all this time. In fact, four-year-old Karina disappeared in the Olekminsky district of Yakutia on July 29, 2014. However, her mother reported about her disappearance only on August 2. All this time the woman thought that her father, who was in a neighboring village, took the daughter with him. But when it turned out that he all these days he was working on extinguishing forest fires, his mother immediately appealed to the police. Fortunately, the girl was found alive in the morning, 9 August, six kilometers from the village of Olom. And it was on the eighth day of searches and on the twelfth day from the moment of disappearance. The story of the girl’s rescue caused a wide public resonance and attention in Russian and foreign media. The little girl herself could not tell exactly what had been with her for almost two weeks while she wandered through the forest. Noteworthy, she survived in many respects thanks to her dog named Kyrachaan, who followed the girl to the forest and warmed her from the cold at night. Of course, the staff of the Yakutsk airport, along with all the Yakut people, worried about the fate of the baby. And, when the rescuers found the girl, everyone was very happy. 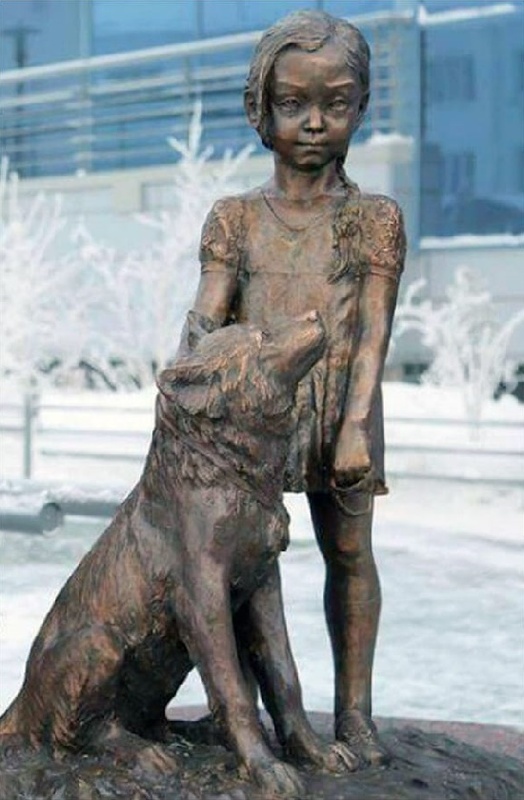 At the same time, the airport administration decided to perpetuate “the strength of the spirit of a small Yakut girl and the devotion of her puppy.” The management in the person of the general director Nikolay Mestnikov promised to install the sculpture, which was performed a year later.